Day one, 22 March. 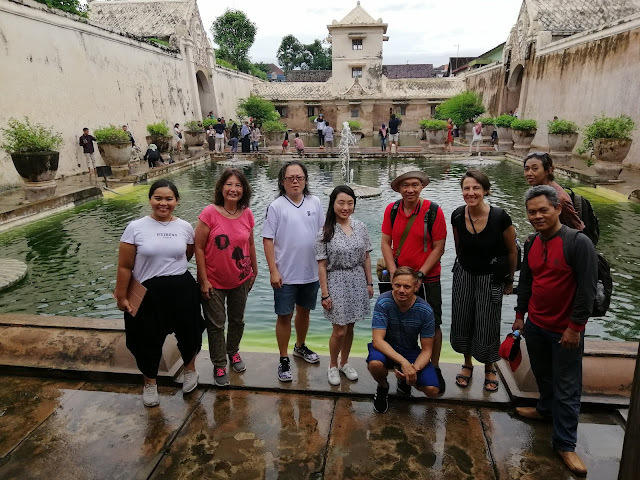 Most of the sketchers from Singapore were in Jogja from 22 to 24 March for the weekend because of work. My institution was having a semester end vacation so I could extend my stay in Jogja from 21 to 26 March. I called 21 March Day Zero so 22 March was Day one when most of the sketchers arrived. We met at 2pm in the hotel and it started pouring when we wanted to go to Tama Sari to sketch the Water Castle but it was raining and drizzling non-stop. We ended up in Plasa Pasar Ngasem for a group photo after sipping coffee and sketching at the near-by Water Castle Cafe operated by a very nice family with 90-year-old grand mother and grandchildren all involved in art, music and cafe business in the vicinity. I did a sketch outside the water castle when it was closed at 4pm before meeting up with the group at the cafe under the wet weather. We headed toward Malioboro and it was getting darker and darker. For a very long time, this should be my first night sketch ever and it was done in Yogyakarta at the junction of Jalan Malioboro and Jalan Raya Jogja on Bank of Indonesia with the Post Office on the right of the sketch. Day one, 22 March. 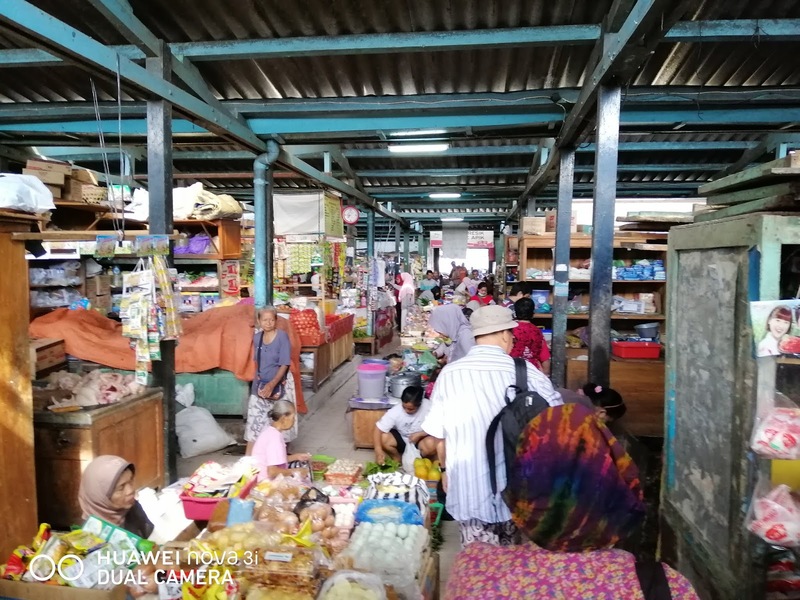 In the early morning, we visited Prawirotaman traditional market. It was full of life, taste, smell and colours. Motorbikes lined up along the street with very small gaps for us to walk. The entrance of the market laid a rock against a green wall and the statue of a soldier to mark a historical event. Walking past this entrance, the area behind the market had many hostels, homestay and hotels with affordable prices. 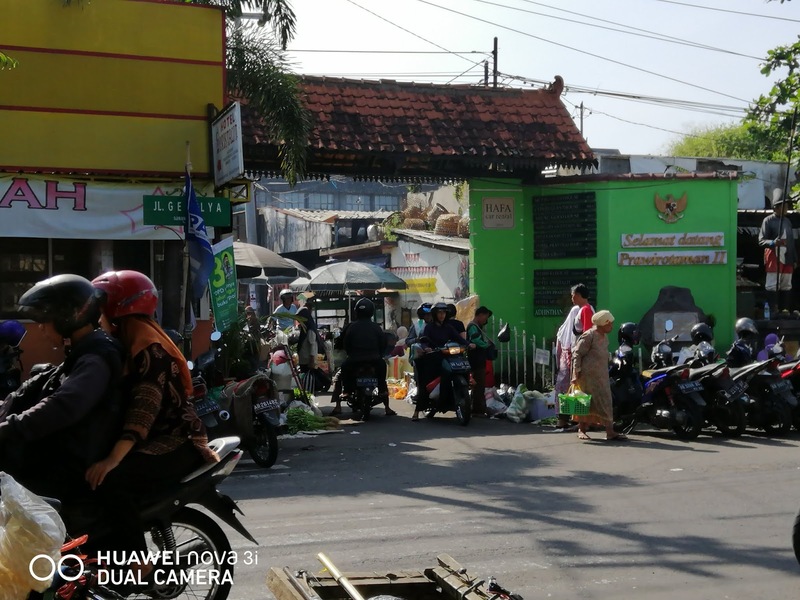 We found Via Via restaurant down the street and I bought a bag made of recycled truck tires from retail shop after getting the refreshing local drinks at Via Via. It was a very fruitful morning with a sketch done opposite the market. It was also the first sketch on a new self-made Saunders Waterford concertina sketchbook. This is the second sketch in 20 mins before the show and tell. 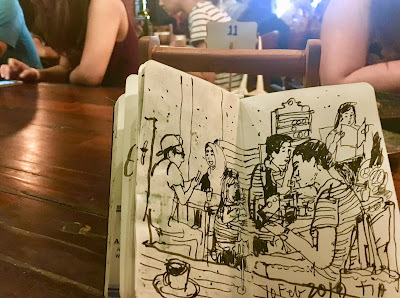 It was raining cats and dogs, so I just sat there and sketched after my nice mee pok and Kopi O. 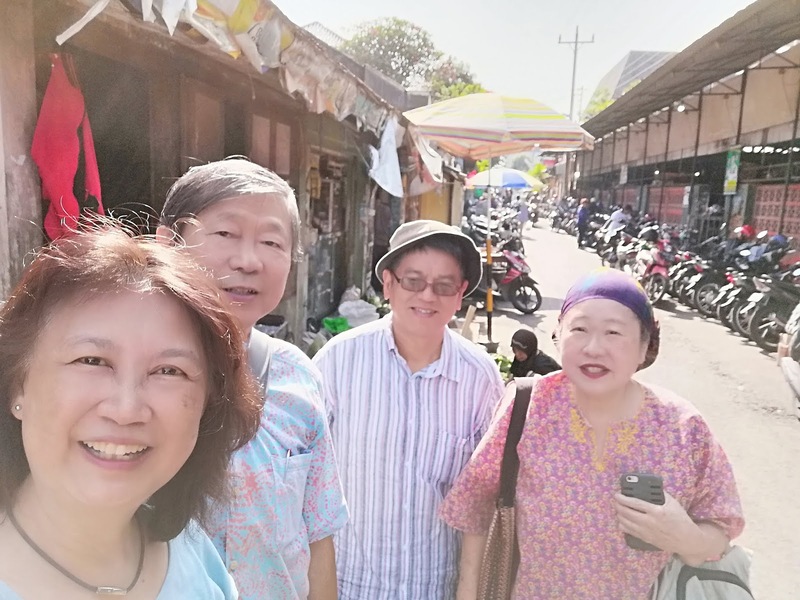 Good recommendation for the noodles stall from Patrick Ng Benedict Tay Hendriko Teguh Sangkanparan and thanks Alice Lim for the popiah, all so nice. Kopi O was very good too. Sitting there, I noticed there were so many old folks in wheel chairs or in other PMDs. The old Chinese lady on wheel chair sitting opposite us was with a sweet Malay lady, I was very sure she's a social worker or a friend. Another Malay lady came to sit with them and the old lady took out some papers from his bag. She left shortly after giving her a cheque. 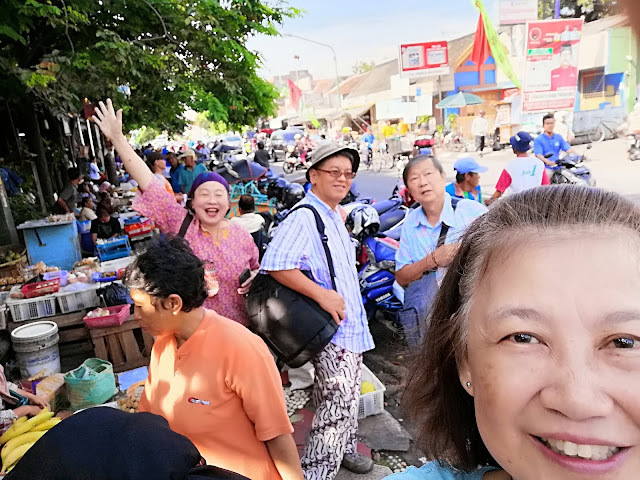 They had traditional breakfast (bread, egg and hot drink) in the morning and when I left, the old lady was having noodles. 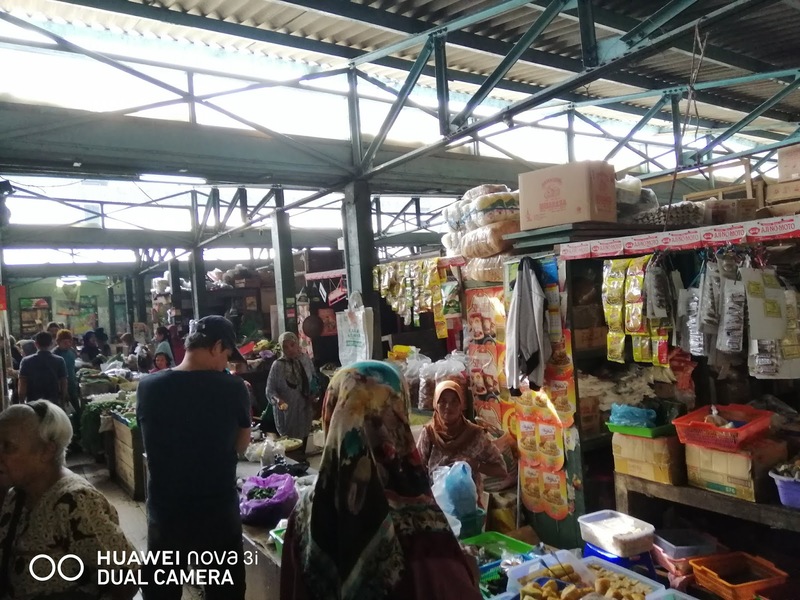 So many old uncles and aunties at the coffee shop and the young ones were at the crowded food centre and market near-by. 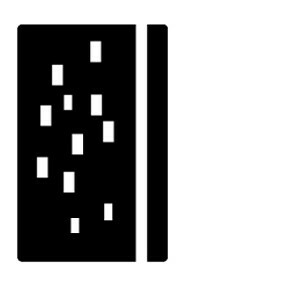 Day two, 23 March. 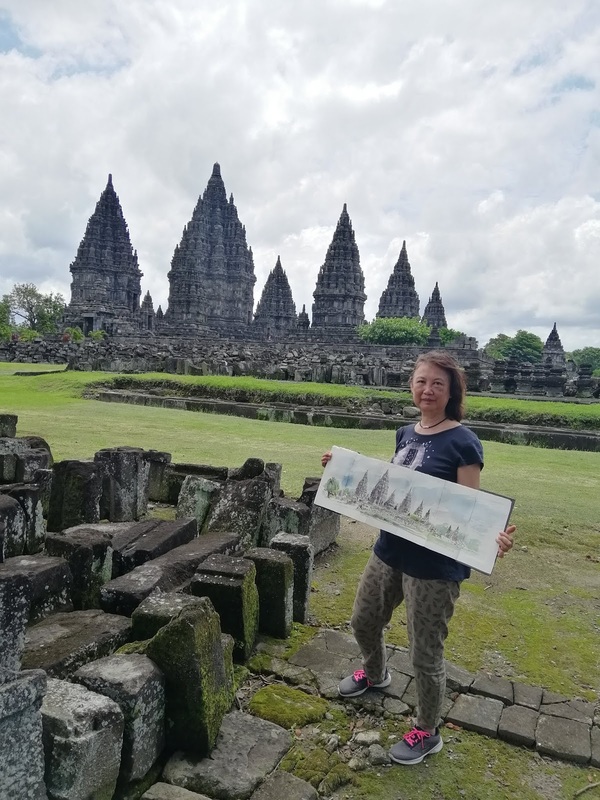 The long sketch at Prambanan and part details at Prambanan. I was sketching alone on the South side after walking one big round and I tried to capture the light in the morning from the East. There were restoration workers inside and outside the make-shift tents hammering away providing background music while I sketched under a big tree surrounded by ancient stones. This month’s sketchwalk will be at Ghim Moh Estate, a place known for great food (including a Michelin guide-listed Chwee Kueh)! You might want to come on an empty stomach, because the hawker centre is well-known for some good bites, so order away and sketch to your hearts' content! And if you have a durian craving, Ah Seng Durian might be a place to get some (if they are open). Location: Same as Starting Location. - You may even venture as far as Buona Vista MRT or Star Vista just minutes away, or sketch from one of the many high-floor corridors in the surrounding HDB blocks. Completed 2 self-made concertina sketchbooks for the Jogja trip. One with colours and the other only ink for quick sketches. 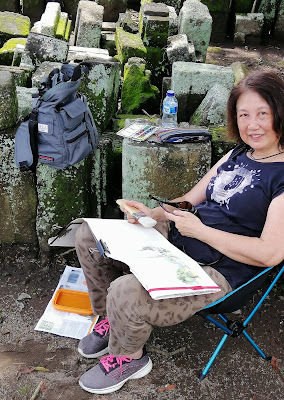 We were not allowed to sketch at the Kreton and no colouring at Borobudur. I will add colours when I feel like it later, depending on my mood. Such beautiful mature heartland with big trees that provide shades everywhere. Do you know these early public flats at Commonwealth and Queenstown have no water tanks on the roof top when they were built? 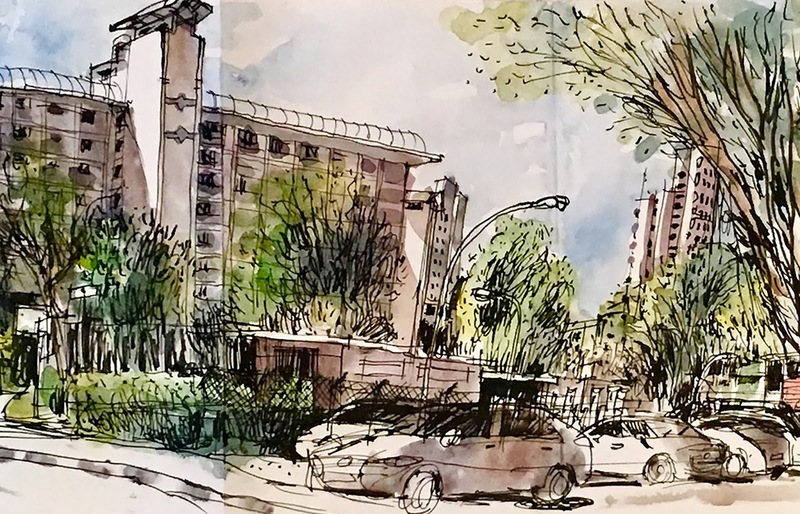 I did a long sketch for February Sketchwalk at 117 Commonwealth Drive overlooking block 91 and Queenstown Lutheran Church which is under renovation. 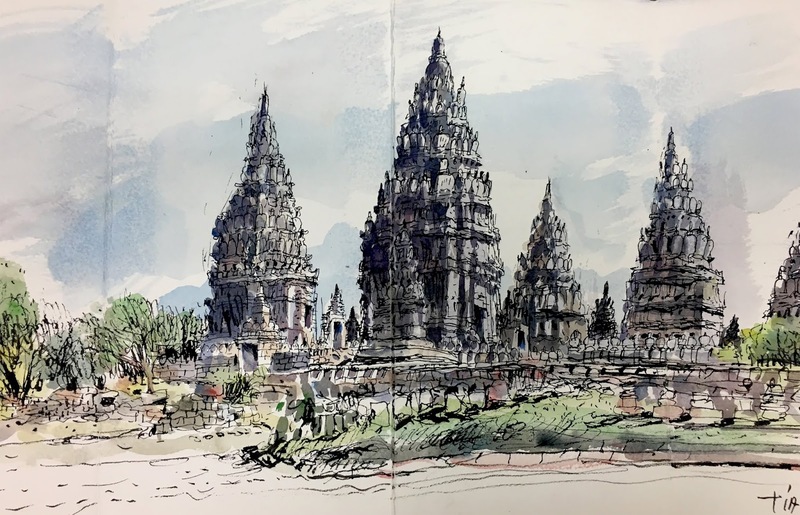 I used concertina sketchbook for easy handling but it is not suitable for watercolours so I did fast washes over ink linework. 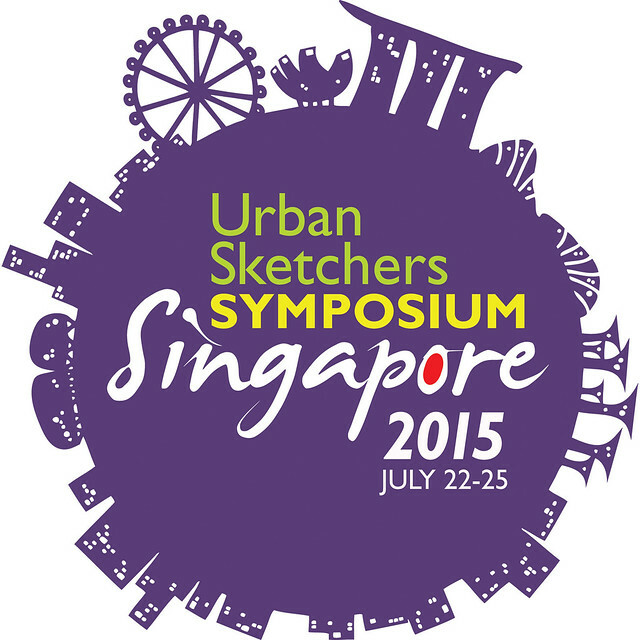 This month’s sketchwalk will be at Commonwealth Drive, behind Commonwealth MRT. 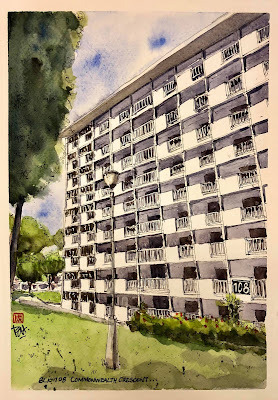 This is an old estate which has some unique buildings, such as Singapore’s first flatted factory, and old church, and early HDB flats, some of which have undergone SERS. The market square in the centre surrounded by HDB blocks boasts some famous food such as Two Chefs zhi char. 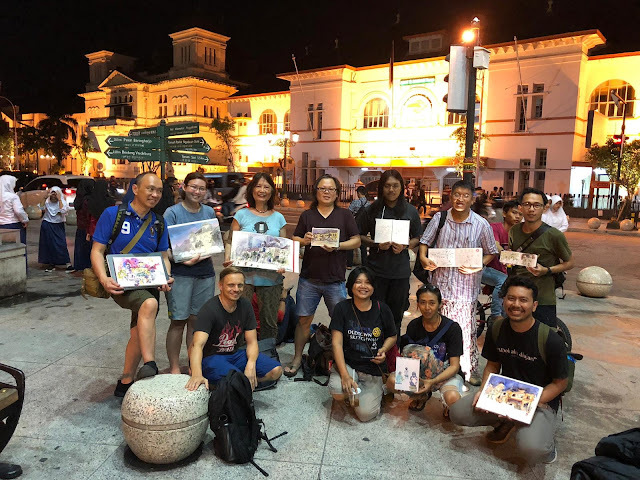 Sketchwalk leaders: Patrick Ng, Favian Ee. Now that Lunar New Year is over, I am slowly getting back to work and back to sketching. 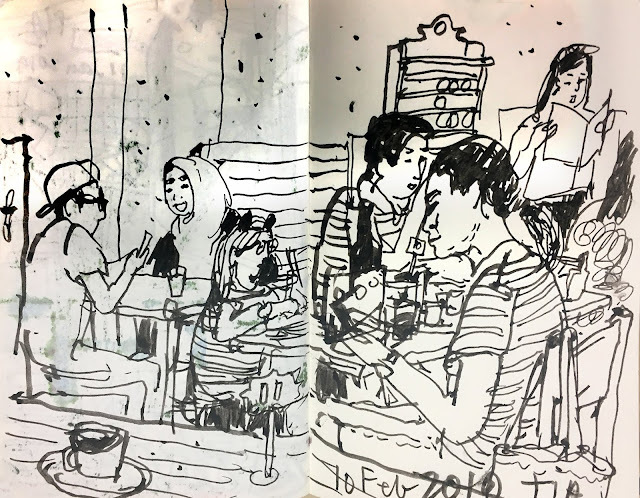 Enjoying the ‘me’ time in a crowded, noisy cafe for my Sunday brunch. Yummy! Kandawgyi Lake is one of the two major lakes in Yangon. Located east of the Shwedagon Pagoda, the lake is artificial, water from Inya Lake is channeled through a series of pipes to Kandawgyi Lake. It was created to provide a clean water supply to the city during the British colonial administration. Karaweilk is a concrete replica of a Burmese royal barge built in 1972. It houses a buffet restaurant today. 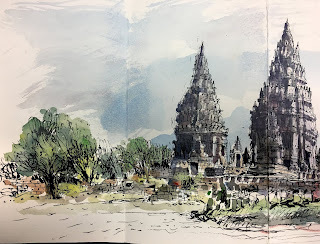 We were given 15 minutes to roam around so here is my sketch with nice photos taken by my colleague. We took a cruise in the evening and witnessed the beautiful sunset along the Yangon River. Just lines no washes within a short time. Its the Little India along Maha Bandula Road overlooking the Sule Pagoda. I sat comfortably on the overhead bridge and sketched this view while others were shopping in 20 minutes. The tower is location for Maha Theindawgyi Monastery built in typical Burmese style. 5 minutes on site and colours added later. Yangon Technological University is the premier engineering university of Myanmar. Established as Department of Engineering under Rangoon University in 1924 and popular known by its former name Rangoon Institute of Technology (RIT), YTU is the country's oldest and largest engineering university, and the best engineering university in Myanmar. Students were shot right at this front facade in 1988 that changed the course of Myanmar history. When we arrived in the late afternoon at the UNESCO Heritage Site, it was consistently crowded and full of lives. I really enjoyed sketching Shwedagon Pagoda although it was still under renovation with all the scaffolding. 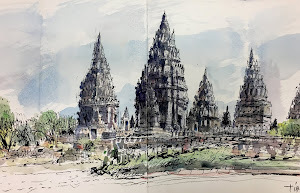 But I exercised my artistic licence and ignored the scaffolding with very quick lines and washes in the short 5 to 10 minutes while students were watching behind me saying all the nice things that gave me that adrenaline rush to sketch faster. Shwedagon Pagoda is the most sacred Buddhist pagoda in Myanmar, as it is believed to contain relics of the four previous Buddhas of the present kalpa. These relics include the staff of Kakusandha, the water filter of Koṇāgamana, a piece of the robe of Kassapa, and eight strands of hair from the head of Gautama obtained by the two merchant. They returned to Okkalapa land to be greeted by the King. From 588 BC to 14 century, the Shwedagon was maintained by 32 kings of Okkalapa dynasty and since 1372 AD by Kings Banya U, Bayayan, Bayagyadaw and others. In 1453 AD, Queen Shin Saw Pu had the pagoda raised to the present height of 99.36 metres or 326 feet. 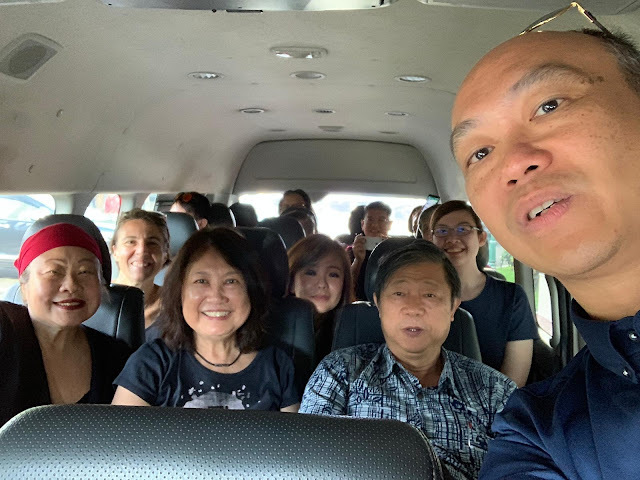 I had just returned from Yangon accompanying 77 students with 3 other colleagues. Its a very intense and educational trip so it was really a luxury to sketch. 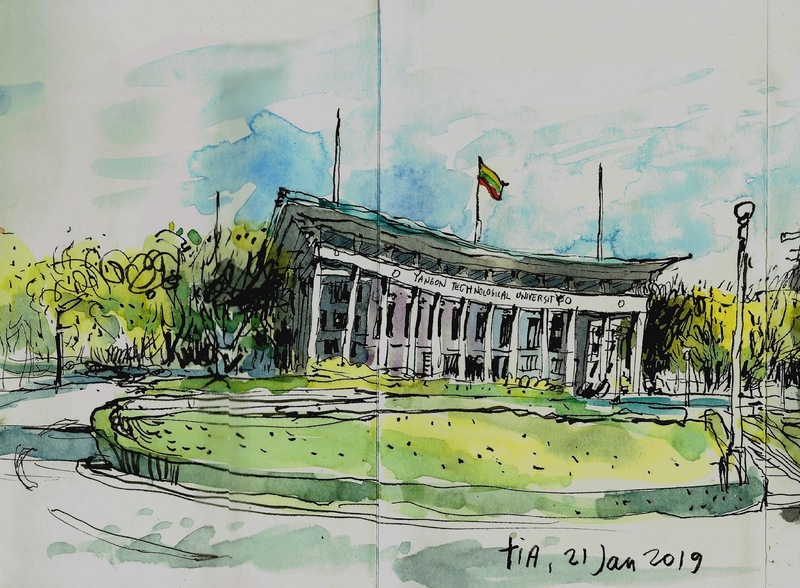 All sketches of Yangon were done in 5 to 20 minutes max and I will post them in the next few days. 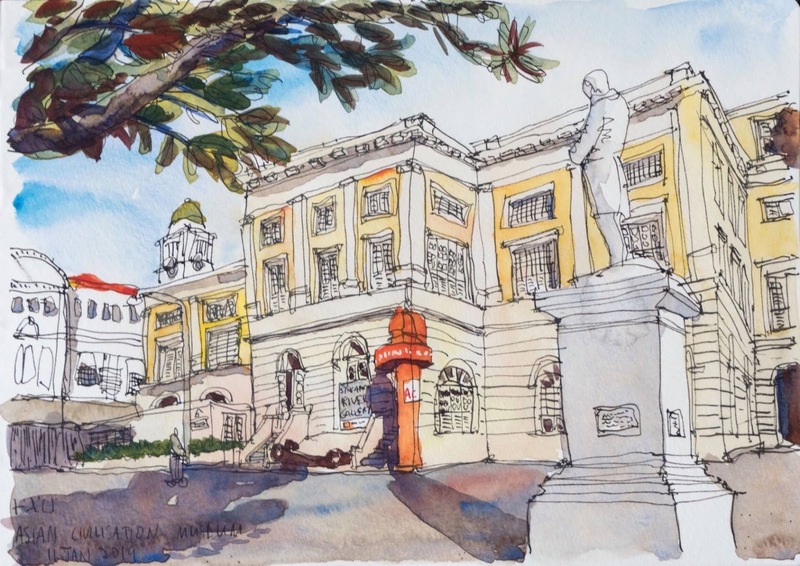 This month’s sketchwalk will be at the Asian Civilisations Museum, along the Singapore River. • Banner sketch by (Parka) Teoh Yi Chie. 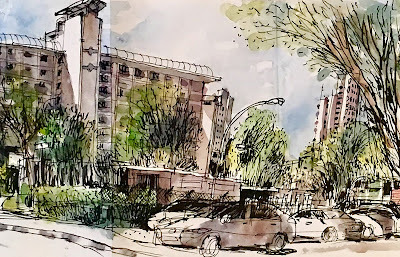 • This Sketchwalk event post is set up by Favian Ee. 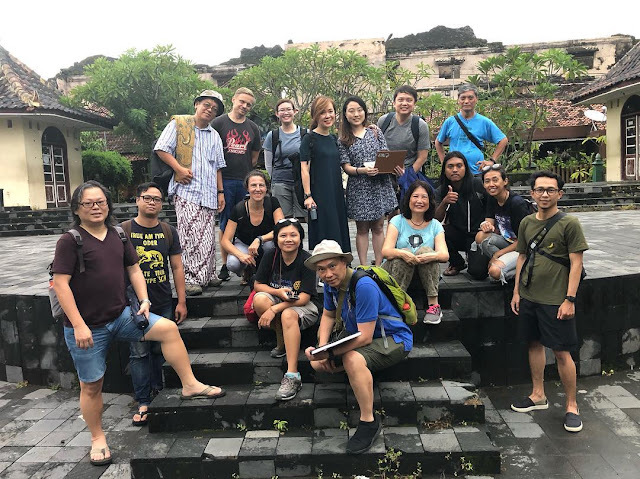 This Sketchwalk is organized in partnership with National Arts Council (NAC) and Filmat36, in conjunction with the launch of《忆记新加坡河》(Memories of Singapore River), an hour-long, heartfelt, documentary that takes viewers back in time to the Singapore River of yesteryears, through the artworks of three local second-generation artists. In the afternoon, there will be 3 hourly screenings of the above-mentioned documentary, at 2:00PM, 3:00PM, and 4:00PM respectively. The screening is free, but admission is BY TICKETS ONLY. 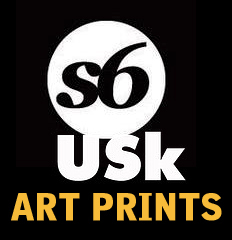 The hosts have generously provided USKSG members with 90 tickets across 3 screenings (30 tix per screening). Tickets are available for collection during the start and end of the Sketchwalk, first come first served. Collect them from the sketch leaders of the day. 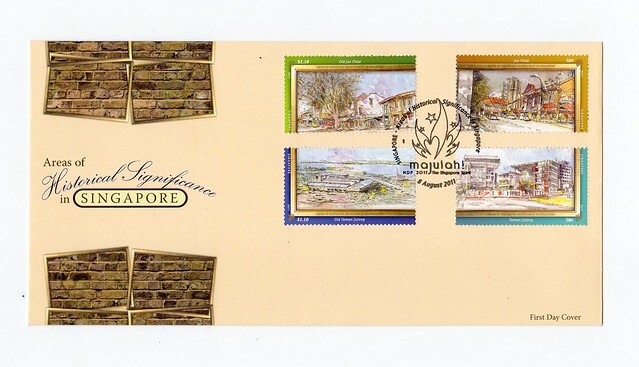 Don’t miss the opportunity to take a nostalgic trip down memory lane or learn of Singapore River’s colorful (literally) history! I conducted a Master Class last Saturday for a group of BA students at The Great Madras Hotel, Little India. It was a very hot day but we were lucky to sketch in the shade. This image is taken by an app using iPhone called CamScanner. I still need to enhance it on Photoshop in file size and some details. 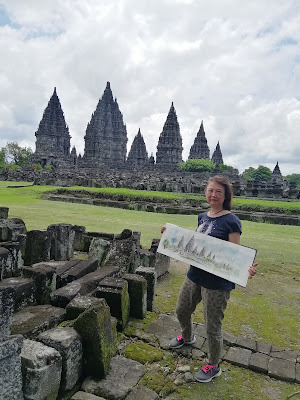 From 2019, I will upload my sketches directly from blogger without a link to my Flickr. First Sketch of 2019 is a Digital Sketch! I will be helping a media student with her group project and I need to show a sketch done on computer for Saturday studio shoot. With my very limited digital knowledge, here is my first attempt of a digital sketch and first sketch in 2019 I did with reference to my sketch at Emarald Hill. People asked me about my experience with digital sketch and I replied "my fingers hurt!!!!" Tools: iPad, iPencil with Procreate.